Arianne Dowd and I presented a five hour workshop called "A CI/TPRS Path to Proficiency" yesterday at the Massachusetts conference and we shared a ton of resources and ideas. We presented mostly in Spanish (because MaFLA asked us to do that), which was a bit nerve wracking as non-native speakers, but we were modeling what we want our students to do! We had a great group that was willing to participate in a variety of activities, ask questions, and give suggestions. Click here to see the presentation (blue words are links). It is always good to share and help others see what a CI/TPRS classroom looks like at all leves: engaging, differentiated, inclusive, novel, in the TL(! ), embedded with culture, and fun! I also learned some new things from the amazing Arianne and some of the participants! As a follow up for participants... we forgot to mention a couple of amazing resources: El Internado and Gran Hotel!! These give a ton of input when done with the reading activities. It is also an easy way to exposed them to authentic language and differentiate at the same time! Arianne and I will have a post later in the week answering those follow-up questions as well. This workshop will share a variety of Comprehensible Input/TPRS units for levels 1-4. Teachers will leave with a better understanding of what a CI/TPRS unit looks like and how to implement a unit that is centered on a music video, a cortometraje, a leveled novel, or a movie. Spanish teachers will leave this workshop with a wealth of resources to use immediately in their classrooms while also transforming their classes into a language proficiency-based community. In Spanish. We have so much to share and are very excited to present! We will share more after the workshop on Thursday! CI Movie Slides for "Perspectivas de la Inmigración"
I love using "CI Movie Slides" to "comprehensify" movies! I am currently using "Ladrón que roba a ladrón" in my Cultura y Civilización class for our "Perpsectivas de Inmigración" unit. Here is a partial unit packet (I can't share it all because some of it is purchased material from Arianne Dowd's store). In the unit packet, you will find free resources to use for two songs, information aboutDACA, a possible evaluación for for those resources, and a preview of what we do after we go through the "CI Movie Slides" and watch segments of the movie. The three main resources of the unit are two songs: "Un besito más" and "ICE El Hielo" and the movie "Ladrón que roba a Ladrón." ¿Por qué vienen algunas personas como inmigrantes indocumentados a los Estados Unidos? ¿Cómo es el proceso de inmigrar a los Estados Unidos legalmente? ¿Qué pasa ahora con la inmigración y las leyes en los Estados Unidos? See the partial unit packet for Enduring Understandings and evaluaciones. Students see screenshots of movie. Students read slides out loud in groups (in lower levels (Canela y La Misma Luna), I read to them). I explain any new words and/or clarify anything that might be confusing. Students answer questions throughout and discuss. Then, we watch a 5-10 minute segments. We play Quizlet Live to review segments of the movie. Here is an example. It will take us 3-4 days (85 minute classes) to finish the movie. We are able to watch the movie in Spanish with subtitles in Spanish and the comprehension rate is very high. Also, they are hearing and reading authentic Spanish and understanding it ---- so good for their confidence! 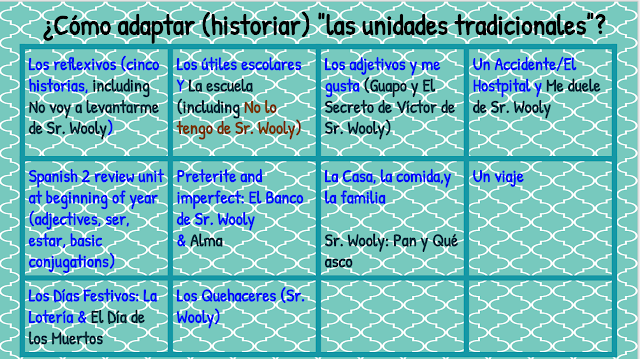 Students should be ready to discuss the movie in the Seminario Socrático (specific for "Ladrón que roba a ladrón" in Arianne's materials) at the end of the unit! Excitement, engagement, suspense, and anticipation... La Casa de la Dentista! 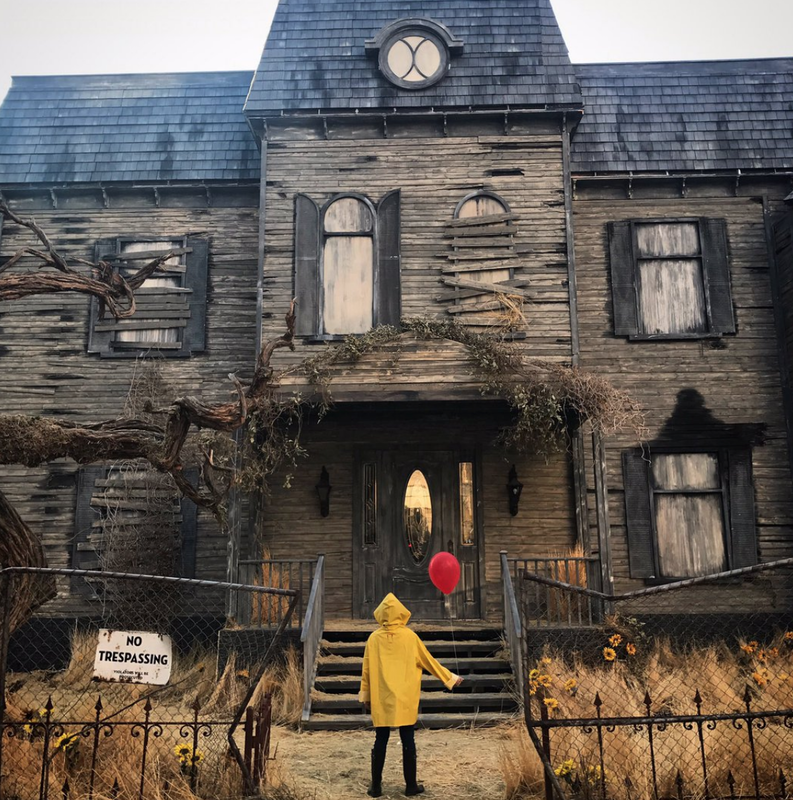 Have you seen the new movie "It" yet? I did! It was scary, but very engaging! Wouldn't it be fantastic if we could bring that type of excitement, engagement, suspense, and anticipation into our classrooms?!? 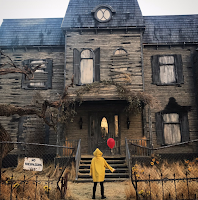 The movie "It" would be totally inappropriate for school and for Spanish class... but maybe with Sr. Wooly's new graphic novel La Casa de la Dentista, we can bring some of that excitement, engagement, suspense and anticipation (that those teenage brains love and crave) into our Spanish classrooms! I just got the book and read it to my nine year (may not be good for all nine year olds) old son and we both loved it! 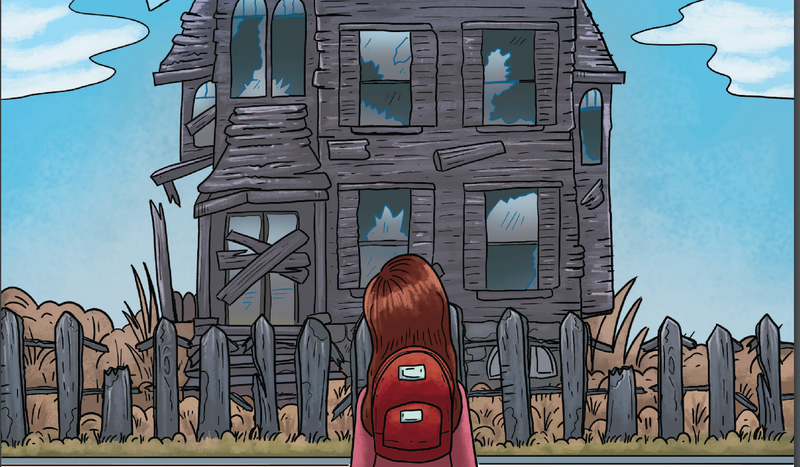 It is suspenseful and full of surprises (I won't give anything away here), but you can see a preview of the first 18 pages here. Not only is it a good, suspenseful story, but it is beautifully illustrated, which also adds to the engagement factor! As I read it, I thought of so many possibilities for this book! Since it is a graphic novel, I will be free to add a ton of vocabulary and questions that are geared towards the proficiency level of my students. I am going to use it with Spanish 1 second semester, but I am also going to use it with my Sobrenatural unit (which needs some revamping) in my Cultura y Civilzación (4/5/6) class this semester. I am still making my way through Sr. Wooly and Carrie Toth's "How to teach a graphic novel?" which will be super helpful as I try to teach with a graphic novel for the first time. Also, since I bought 30 copies, I will get the Teacher's Guide too. That will be another big help! I am teaching Spanish 3 this year (after not having taught it last year... and having continued to evolve a lot in my CI style of teaching). In my department we are still tied to Realidades, so I am trying to use more CI and compelling resources (Sr. Wooly nuggets and other things instead of the textbook!) and make real world connections with all the things that we do in there! The current unit is "Un Accidente,"which I actually find to be a very useful unit! I really realized that when I had to go to a clinic and a hospital with a student in Costa Rica and he was able to communicate about what happened to him! I thought I would share in case anyone can use some of the resources for a health related unit. This is a work in progress and definitely still a hybrid/bridge unit!! How do I explain what happened if someone (including myself) has an accident and/or needs medical assistance? What are some cultural products, practices, perspectives in the song “La Curandera”? What are some common illnesses that people have to be aware of in Latin America? Listen to and understand a story, “Ya está muerto,” about a time when someone was in the hospital. Explain what happened in the story, “Ya está muerto”. Describe what happened if someone (including myself) has an accident and/or needs medical assistance. 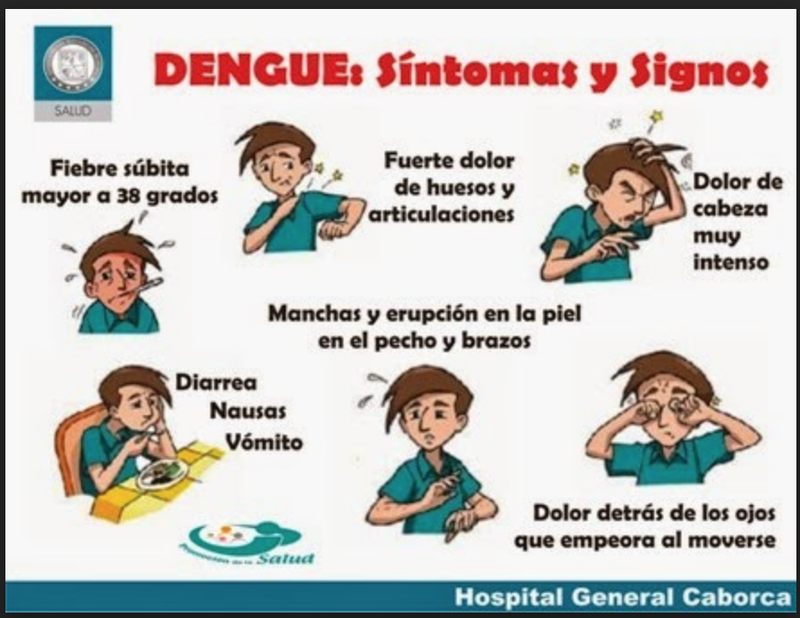 Interpret and explain information about a common illness in some parts of Latin America from infografías and PSA. Compare and contrast the cultural products, practices, and perspectives in the song “La Curandera” with my own cultural products, practices, and perspectives. Use the preterite, imperfect, reflexives verbs, and indirect object pronouns with more accuracy. The song/video, embedded readings for (love these to lead up to the video!! ), and nuggets for "Ya está muerto" from Sr. Wooly. Definitely recommend a subscription to his site! 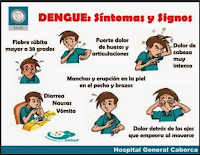 Some activities with two infografías and two PSAs about el dengue. Click here to access the doc and make a copy if you want it. Two health-related songs: Ay doctor por Jesse y Joy y El Curandero por Elastic Bond. Click here to access the doc and make a copy if you want it. A dictado with five accidentes that happened. (This is where you will see the Realidades chapter the most. This will also be used as a speaking part of the test for the chapter. Click here to access the doc and make a copy if you want it. I love Bomba Estéreo (of "Soy yo" fame) and last week I used "Internacionales" as our canción de la semana (free basic doc). Many students liked it, but some did not. I LOVE it, so I was so happy when I saw the new video that was released today! It is fun and appropriate, with a great message to explore the world. After watching the video, I created a simple story called "La Agente de Viajes (que nunca ha viajado)". I have created a slideshow with screen shots and a packet with lots of activities for this mini unit. Click here to see what is included and/or to purchase it ($5.00).